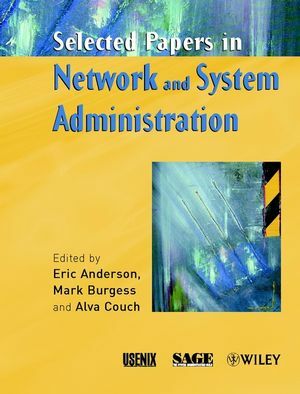 The emergence of network and System Administration, during the latter quarter century, as a discipline of science and engineering, has culminated in a number of paradigms for managing networks of collaborating machines. These include automatic regulation, policy based management, computer immunology, quality control procedures and even the psychology of the user-system interaction. Techniques based on scripting, declarative languages, empirical measurements, and theoretical models, spanning psychology to game theory have been developed. In this volume, key contributions to the discipline are presented through the words of the authors who contributed them. The forum for this thread of ideas has been the USENIX Association's LISA conferences, originally the "Large System Administration" conference. These conferences have played, and continue to play, a unique role in cementing a relationship between researchers and working network and system administrators. Computer scientists,engineers, system administrators and students will each find something of permanent value here. No matter what developments the future brings, these words represent important conceptual foundations of the field. These papers are reprinted here for the first time in a convenient form, along with a commentary reflecting on their significance within the discipline as a whole. Eric Anderson, grad student, Univ of California, Berkeley. Alva Couch, Assoc. Professor Tufts University. Experiences with Viruses on UNIX Systems (T. Duff). Site: A Language and System for Configuring Many Computers as One Computing Site (B. Hagemark and K. Zadeck). spy: A Unix File System Security Monitor (B. Spence). Uniqname Overview (W. Doster, et al.). The Depot: A Framework for Sharing Software Installation Across Organizational and UNIX Platform Boundaries (K. Mannheimer, et al.). Using expect to Automate System Administration Tasks (D. Libes). Policy as a System Administration Tool (E. D. Zwicky, et al.). Managing Program Binaries in a Heterogeneous UNIX Network (P. Anderson). Torture-testing backup and Archive Programs: Things You Ought to Know but Probably Would Rather Not (E. D. Zwicky). Is Centralized System Adminstration the Answer? (P. Schafer). Majordomo: How I Manage 17 Mailing Lists Without Answering "request" Mail (D.B. Chapman). Automated System Monitoring and Notification with Swatch (S.E. Hansen and E.T. Atkins). Computer System Performance Problem Detection using Time Series Models (P. Hoogenboom and J. Lepreau). Horses and Barn Doors: Evolution of Corporate Guidelines for Internet Usage (S. Hambridge and J.C. Sedayao). Towards a POSIX Standard for Software Administration (B. Archer). Open Systems Formal Evaluation Process (B.W. Keves). Customization in a UNIX Computing Environment (C.E. Wills, et al.). The Amanda Network Backup Manager (J. da Silva and O. Gudmundsson). Towards a High-Level Machine Confugration System (P. Anderson). Monitoring Usage of Workstations with a Relational Database (J. Finke). A Site Configuration Engine (M. Burgess). Availability and Latency of World Wide Web Information Servers (C.L. Viles and J.C. French). Metrics for Management (C. Hogan). Decentralising Distributed Systems Administration (C. Hogan, et al.). SLINK: Simple, Effective Filesystem Maintenance Abstractions for Community-Based Administration (A.L. Couch). An Analysis of UNIX System Configuration (R. Evard). Wide Area network Ecology (J.T. Meek, et al.). Boostrapping an Infrastructure (S. Traugott and J. Huddleston). A Visual Approach for Monitoring Logs (L. Girardin and D. Brodbeck). Accountworks: Users Create Accounts on SQL, Notes, NT and UNIX (B. Arnold). Deconstructing User Requests and the Nine Step Model (T.A. Limoncelli). A Retrospective on twelve years of LISA Proceedings (E. Anderson and D. Patterson). It's Elementary, Dear Watson: Applying Logic Programming to Convergent System Management Processes (A.L. Couch and M. Gilfix). Theoretical System Administration (M. Burgess). An Expectant Chat About Script Maturity (A.L. Couch). Peep (The Network Auralizer): Monitoring Your Network With Sound M. Gilfix and A. Couch). Tracing Anonymous Packets to Their Approximate Source (H. Burch and B. Cheswick).